No two headphones are made the same. With a huge variety of headphones available on the market these days, making the right choice can be quite tricky. However, if you know exactly what you need, then the process can be a lot easier. 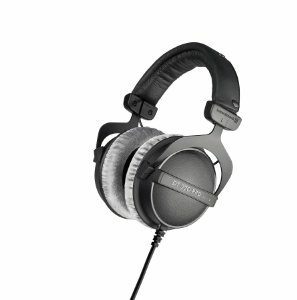 Whether you are looking for perfect headphones for traveling or something neutral like Beyerdynamic DT 770, you can surely find the best one that matches your needs. 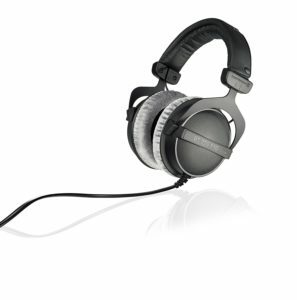 If you are looking for versatile headphones, then Beyerdynamic DT 770 is perfect for you. These are durable, well-built and fantastic-sounding closed-back headphones. This just means that the sound does not escape through the outside of every earphone. So, when you use Beyerdynamic DT 770, pro, you surely won’t annoy your neighbor on the train. 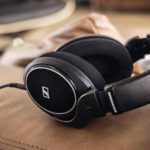 Beyerdynamic has been making amazing headphones for years and has even gained a reputation as one of the world’s most trusted audio companies these days. Therefore, it is not surprising to see its products being in the market. 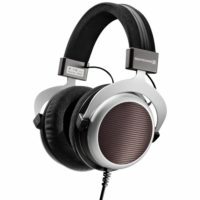 In addition to Beyerdynamic DT 770, other notable headphones it has produced are the Beyerdynamic DT 880. The Beyerdynamic DT 770 Pro is a great headphone fit for you or not? While DT 770 provides options for 250-, 32- and 80- ohm options, the DT 880 are only available with 250 ohms. Hence, 770 is the optional choice for portable use. Great for Mixing and Home Use. Both the 880 and 770 sport a less intense high end here with a more subdued sound. However, if you are going to rank these headphones in terms of their high-end detail, the 770 is at the top place. In contrast, the 880 seems more subdued and relaxed than the DT 770. 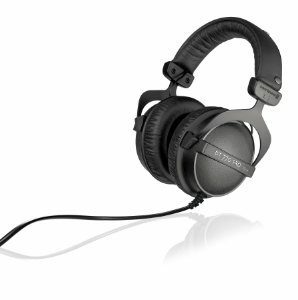 The Beyerdynamic DT 770 Premium headphones are a study and durable device. They have similar solid metal frame as the DT 990 Pro. The ear cups are also thick enough to be able handle drops without being damaged. However, when you compare it with the feel and build of DT 880, the ear enclosures can feel like a plastic. 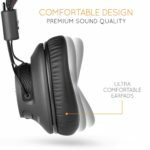 In order to help you determine if it is the right headphones for you, it is important to take a closer look at its benefits and drawbacks. Stability. The DT 770 headphones are adequately tight on the head. They would not fall during your listening sessions, unless its cable that is non-detachable gets hooked on something. Great–sounding Headphones. The Beyerdynamic DT 770 is notable headphones that deliver great sounds. They come with an extended Bass, an excellent distortion, and imaging performance. Good Noise Isolation Performance. These headphones can block enough noise, making them a perfect use in moderately noisy settings and to commute via public transit. Poor Soundstage. 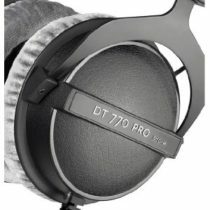 Because DT 770 Pro are closed-back design headphones, they can sometimes sound a bit isolating and would not let the exterior ambiance mixed with the music. Leaky at Higher Volumes. While they have a good average performance when it comes to noise isolation, they would not isolate well for louder environments. This is especially true if you do not have any audio playing. 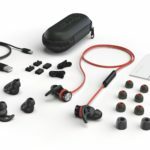 Below–Average headphones for Sports. Although DT 700 are tight on the head and would not easily fall, a detachable cable, bulky build and the lack of controls sometimes mean that they would not really be suitable to take to the gym or use when running. Beyerdynamic DT 770 is a bit more versatile, durable and have a better Bass than the DT 880, thanks to the headphones’ closed-back design. 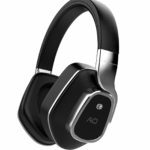 Above are pros and cons of these headphones which you should consider to purchase this headphone. 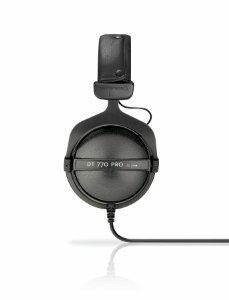 Overall, Beyerdynamic DT 770 is excellent, closed-back headphones that deliver a good balance of audio reproduction. While they may not have the DT 880’s spacious Soundstage, they still have a better bass due to their closed design. Upon weighing all the advantages and disadvantages of Beyerdynamic DT 770, as well as its functionalities and features, there’s no doubt to say that these headphones are a great device to have for your everyday use. Whether you are a music lover or just someone who wants to enjoy a quiet commute home, then having good-quality DT 770 pro is a good choice.